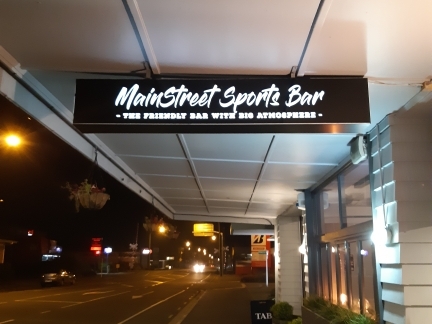 Mainstreet Sports Bar is the great wee sports bar in Rangiora. Great food cold beer. Tab pod . Pokies. Pool table . Friendly staff and function facilities available upstairs, With Live music and all the sport you can handle, Along with a Gaming & horsey corner for those who love a bet. With all Raffles and Entertainment it is easy to see why people love The Main Street Sports bar. With large outdoor facilities come down and check out whats on you'll be glad you did!